Henchmen for Hire - Have a Happy Henchmen Halloween! 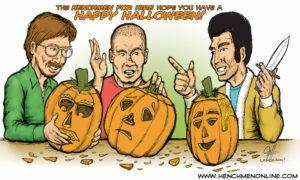 Have a Happy Henchmen Halloween! Happy Halloween from the Henchmen for Hire crew!